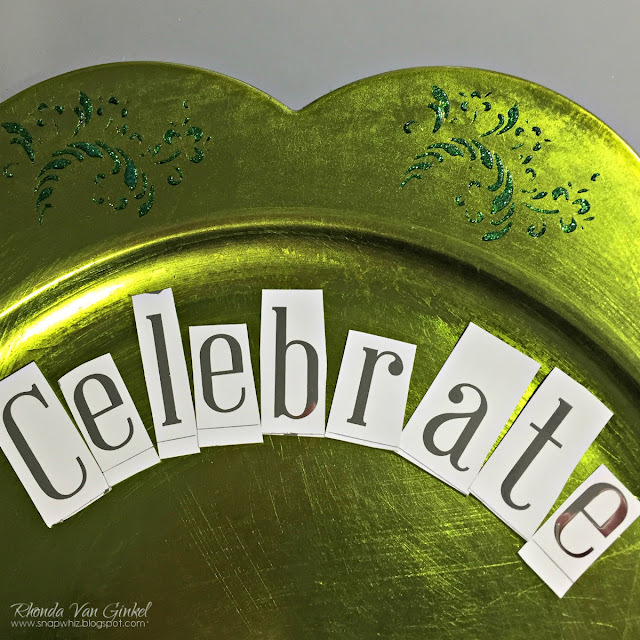 The BoBunny Blog: Celebrate Charger Plate! Greetings and welcome to Sunday Sunday here on the blog. 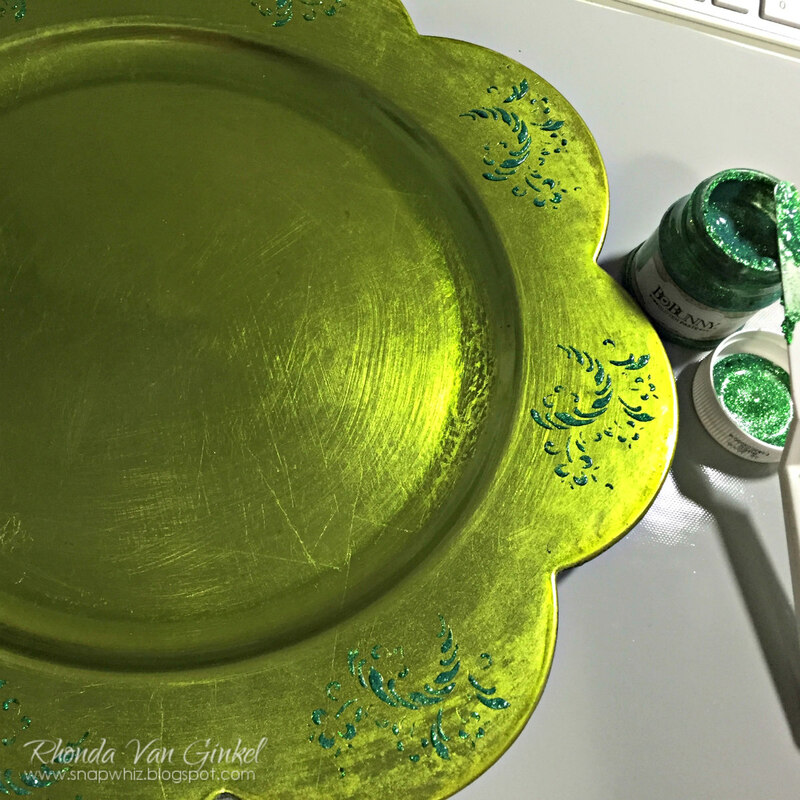 I have a fun project to share with you featuring one of our new Glitter Paste colors, Emerald. To begin, I found this charger plate at my local craft store for $1.99. It's a clear coated plastic plate. I wanted to create a celebration plate, so thought I would try creating one with my BoBunny supplies! 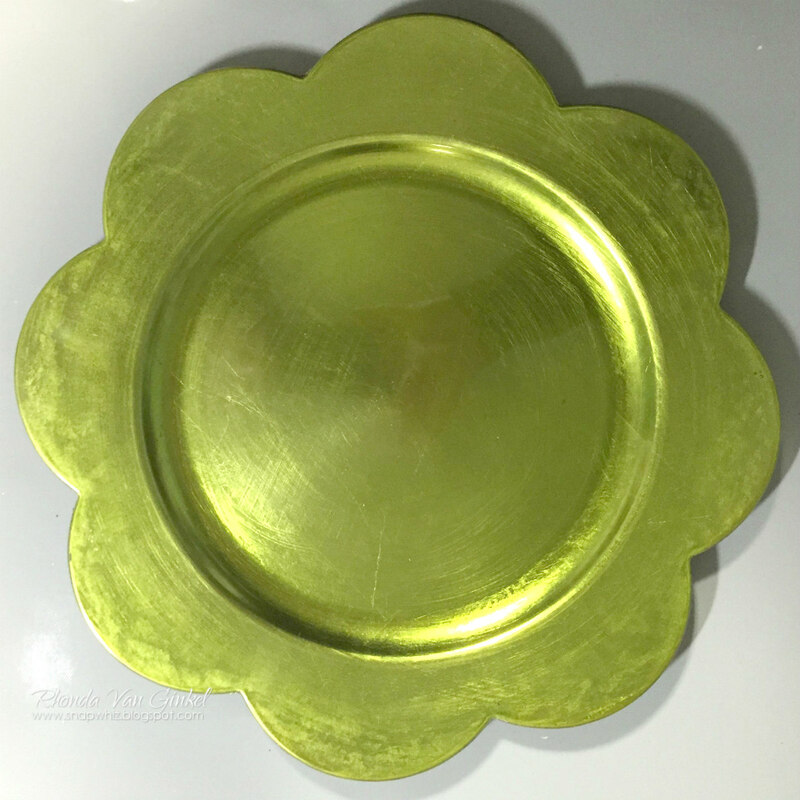 Disclaimer: This is meant only to layer under your typical dinnerware as a decoration, not ever to be eaten from or washed in the dishwasher. 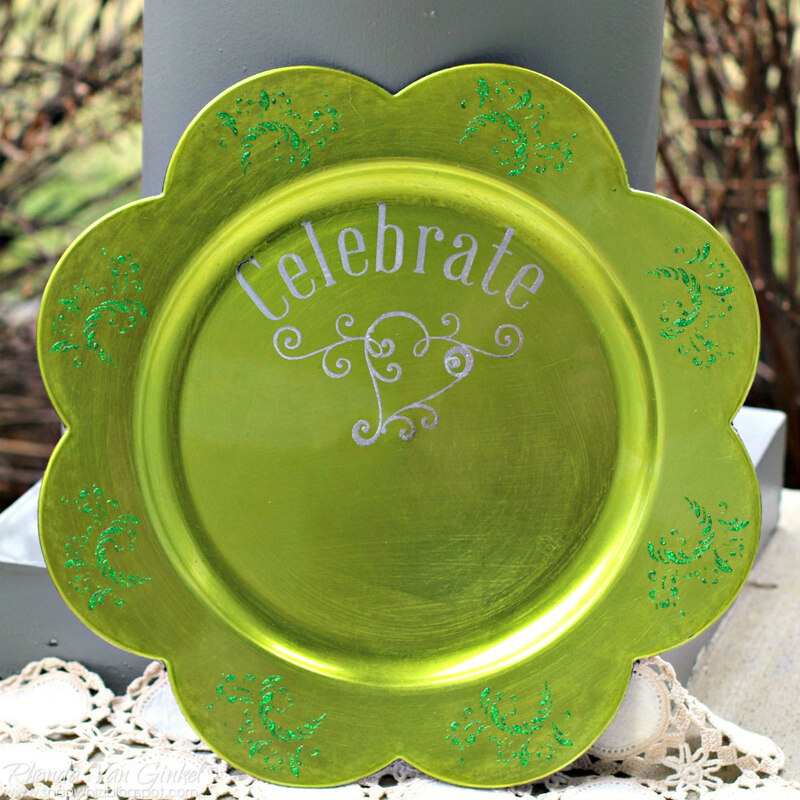 Using the new Fanciful Stickable Stencil design in oval, I accented each of the scallops with the Emerald Glitter Paste. I thought it really made a pretty design! Next, I cut each of my alphas from the Silver Foil Transfer package of Alphabets. 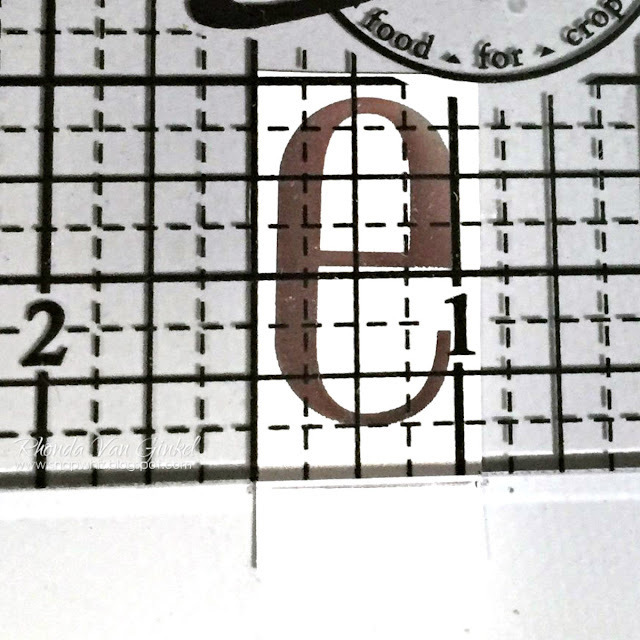 Once they were all cut out, I marked a quarter inch line beneath each letter for alignment guides. I began by centering the "b" in the middle of the scallop, then rubbed it on. I continued with the rest of my alpha's until completed. Once I had the sentiment on the plate, I felt as though it needed just a bit more of an accent, so I added a few flourishes from the Filagree Silver Foil Transfer set. It added just the right amount of whimsy that I was hoping for. 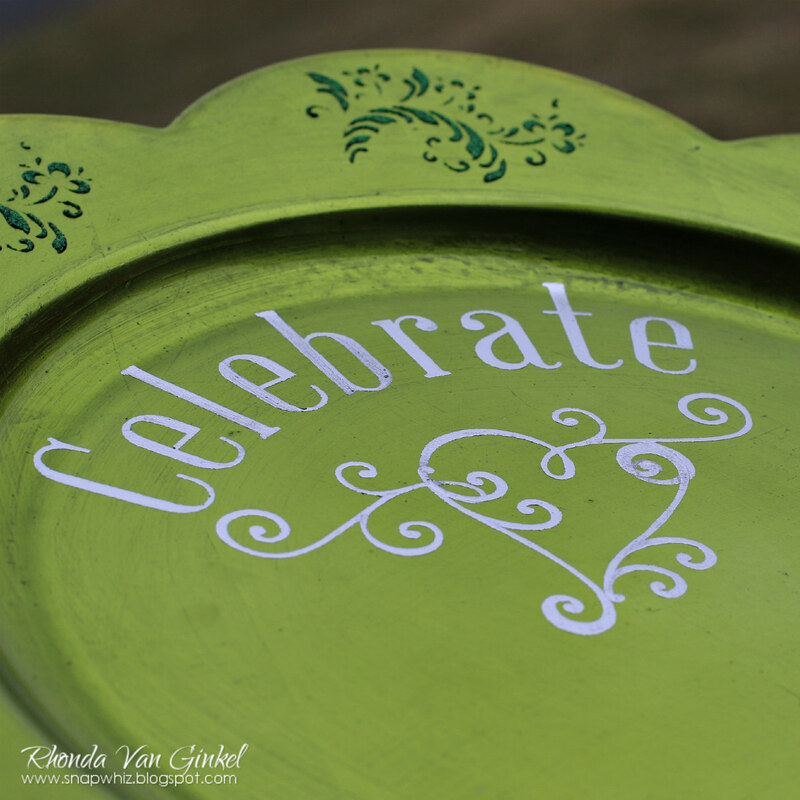 We have a fun family event to share soon and I am excited to introduce the Celebrate honor plate to the kids!